Occasionally a vehicle model will turn out to be the gift that keeps on giving for the aftermarket. In last months magazine we mentioned the number of K-series head gasket sets that were sold when Rover 200s ruled the roads, but we could also have talked about R53 Mini PAS pumps, Vectra alternators or many other part numbers that for a time dominated the replacement market. 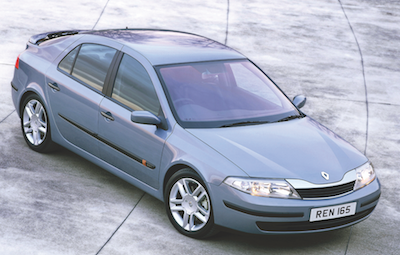 One car that was known as being problematic when it came out of warranty is the second-generation Renault Laguna. A few years ago it was famous for numerous small but significant electrical gremlins that would lead to odd instrument readings or limpy running, many of which were eventually traced to a poor design of sensor plug. As these cars range between eight and sixteen years old you might think that survivors would be few and far between, but in fact TecAlliance data suggests that more than 60,000 are still on UK roads. Families continue to hold this range in high regard thanks to the NCAP five-star rating and comfortable ride. 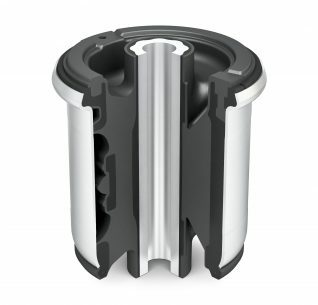 Rear axle bushes are prone to premature wear and require replacement in all instances. Wear is often identified by knocking from the rear suspension whilst driving over uneven surfaces or through cornering. 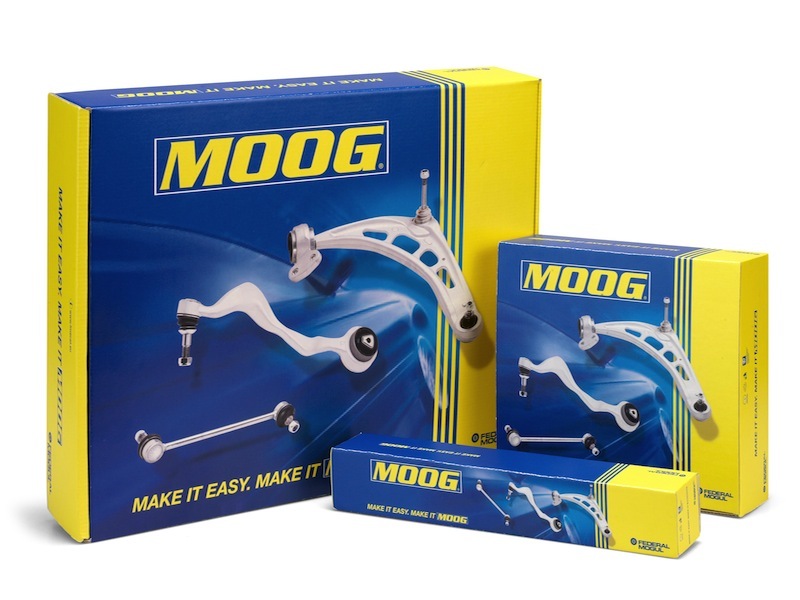 The Renault Laguna II axle bushes are handed items and Motaquip recommend that they should always be replaced as a pair. The Renault Laguna II can experience what might appear to be a failing crankshaft sensor but is actually poor or corroded terminals in the sensor plug. Elta Automotive explains that there are two versions, a black and a blue version. The original black version was prone to coming loose causing the usual symptoms of crankshaft sensor failure including difficulty starting, stalling, misfires and acceleration issues. The modified blue version was introduced to address these issues. Cambiare offers a kit to overcome this problem; this includes a new crankshaft sensor and multi-plug, since replacing just the sensor will not guarantee to fix the problem. Cambiare also mentions that a fall of power below 2000rpm and failure of the temperature gauge to register variations correctly, possibly accompanied by fault code P0115- could be the result of a broken wire close to the temperature sensor rather than a failed part and advises technicians to bear this in mind as part of their diagnostic routine. Reader Steve Stokes says that rear electric handbrake wires chafing in the wheel arch often cause problems as do the fan switch and motor. Laguna 1.9DCi engines can experience oil leaks from the oil pressure switch. Cambiare recommends technicians to check the oil pressure with an external gauge before replacing a leaking switch as it has been known that a sticking oil pressure relief valve can result in the generation of a higher than specified oil pressure. 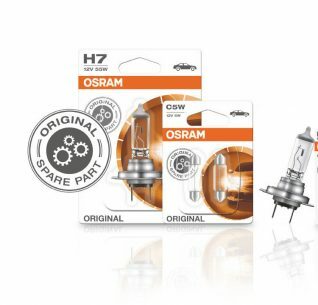 This increases the risk of leaks via the pressure switch and/or the turbo seals, leading to premature turbo failure. When checking the non-illumination or permanent illumination of the brake lights, the problem could be the result of the brake light switch detaching from its mounting bracket. The switch is located under the dashboard on the passenger side and could simply be dislodged by a passenger stretching out and pressing on the carpet under the glovebox. The engine speed can vary for a variety of reasons, but one of the first places to check must be the accelerator pedal sensor. The credit cards style chip ‘key’ for this range caused problems almost as soon as the model was launched. Notably, there is no way to get into the vehicle if the battery goes flat – and that the key can lose its code if left flat for too long. Hopefully your customer will have the spare key, which can be used to restart the car and will recode the main key. Many aspects on the front suspension are known for failing prematurely, including the front coil springs says QH The Laguna II has relatively long springs so it is important to use quality replacements. The suspension arm bushes are also known for wearing rapidly. This wear can cause the control arm to be misaligned and affect camber. 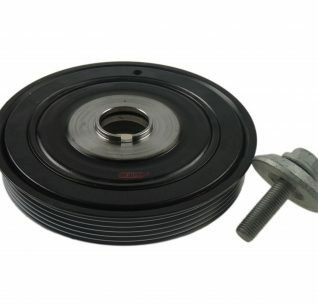 There’s nothing particularly weird about the auxiliary and drive belts, according to Dayco and INA, though both companies point out that the idler and tensioner should be changed at the same time and the crankshaft pulley should be checked for operation. However, the specified replacement intervals on these vehicles is not a guideline – they will break if left on the vehicle for too long. 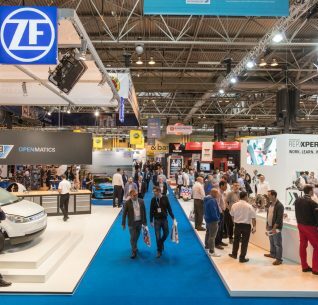 Corteco say vehicles are likely to require a Torsional Vibration Damper (TVD) upgrade in the near future as these components are near the end of their operational life. On Petrol 1.6 petrol models the alternator pulley rubber damper insert can fail due to tensioning issues, resulting in a noisy unit, and on Diesel 1.9DCi models fluid ingress can cause failure of the alternator according to Autoelectro. The RMI-F say that all variants can have the ABS light on, but mysteriously have no fault codes stored. This is traced to water damage to the ABS module, which is situated behind the front bumper on the left hand side. The Federation also points out that models with the DCi engine can suffer intermittent loss of all instruments. This is usually traced to a poor earth connection bottom of the A-pillar from the instrument unit. The 2000-on Laguna was one of the first vehicles to have a TPMS system as standard, but the technology behind it is best regarded as ‘experimental’ – they rarely work. You CAN get into a dead Laguna. There is a key blade in the bottom of the key card. Go to the nearside front door and remove the door lock cover (there’s a slot underneath to help remove it) then insert key blade and unlock door. Once you’re in, press the unlock switch on the centre console and the drivers door should unlock if there’s a bit of life left in battery. Also rear axle bushes are cheapest from Renault main dealers. Aftermarket charge about £50 per bush, they come as a pair from Renault for a similar price.